Post: Gaurav Akrani. Date: 12/02/2010. Comments (11). Label: Economics. The tax revenue is the most important source of public revenue. A tax is a compulsory payment levied by the government on individuals or companies to meet the expenditure which is required for public welfare. Image Credits © Curious Spider. According to Hugh Dalton, "a tax is a compulsory contribution imposed by a public authority, irrespective of the exact amount of service rendered to the taxpayer in return, and not imposed as penalty for any legal offence." What are Canons of Taxation ? Canons of Taxation are the main basic principles (i.e. rules) set to build a 'Good Tax System'. 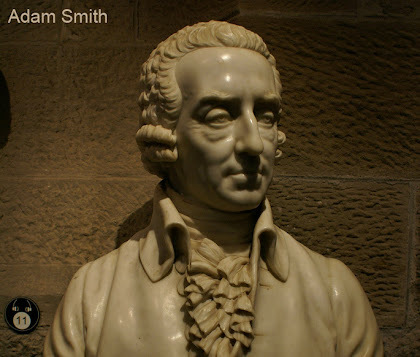 Canons of Taxation were first originally laid down by economist Adam Smith in his famous book "The Wealth of Nations". In this book, Adam smith only gave four canons of taxation. These original four canons are now known as the "Original or Main Canons of Taxation". As the time changed, governance expanded and became much more complex than what it was at the Adam Smith's time. Soon a need was felt by modern economists to expand Smith's principles of taxation and as a response they put forward some additional modern canons of taxation. A good tax system is one which is designed on the basis of an appropriate set of principles (rules). The tax system should strike a balance between the interest of the taxpayer and that of tax authorities. Adam Smith was the first economist to develop a list of Canons of Taxation. 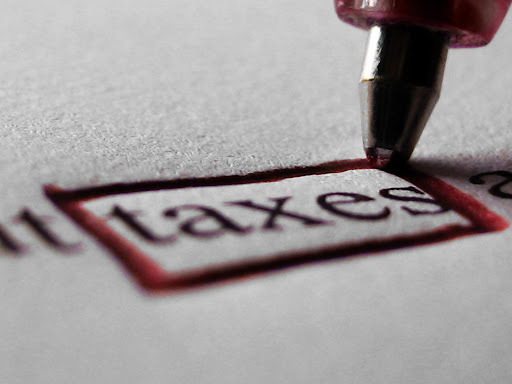 These canons are still regarded as characteristics or features of a good tax system. Adam Smith gave following four important canons of taxation. The principle aims at providing economic and social justice to the people. According to this principle, every person should pay to the government depending upon his ability to pay. The rich class people should pay higher taxes to the government, because without the protection of the government authorities (Police, Defence, etc.) they could not have earned and enjoyed their income. Adam Smith argued that the taxes should be proportional to income, i.e., citizens should pay the taxes in proportion to the revenue which they respectively enjoy under the protection of the state. According to Adam Smith, the tax which an individual has to pay should be certain, not arbitrary. The tax payer should know in advance how much tax he has to pay, at what time he has to pay the tax, and in what form the tax is to be paid to the government. In other words, every tax should satisfy the canon of certainty. At the same time a good tax system also ensures that the government is also certain about the amount that will be collected by way of tax. The mode and timing of tax payment should be as far as possible, convenient to the tax payers. For example, land revenue is collected at time of harvest income tax is deducted at source. Convenient tax system will encourage people to pay tax and will increase tax revenue. This principle states that there should be economy in tax administration. The cost of tax collection should be lower than the amount of tax collected. It may not serve any purpose, if the taxes imposed are widespread but are difficult to administer. Therefore, it would make no sense to impose certain taxes, if it is difficult to administer. Activities and functions of the government have increased significantly since Adam Smith's time. Government are expected to maintain economic stability, full employment, reduce income inequality & promote growth and development. Tax system should be such that it meets the requirements of growing state activities. Accordingly, modern economists gave following additional canons of taxation. It is also known as the canon of fiscal adequacy. According to this principle, the tax system should be able to yield enough revenue for the treasury and the government should have no need to resort to deficit financing. This is a good principle to follow in a developing economy. According to this canon, every tax imposed by the government should be elastic in nature. In other words, the income from tax should be capable of increasing or decreasing according to the requirement of the country. For example, if the government needs more income at time of crisis, the tax should be capable of yielding more income through increase in its rate. It should be easily possible for the authorities to revise the tax structure both with respect to its coverage and rates, to suit the changing requirements of the economy. With changing time and conditions the tax system needs to be changed without much difficulty. The tax system must be flexible and not rigid. The tax system should not be complicated. That makes it difficult to understand and administer and results in problems of interpretation and disputes. In India, the efforts of the government in recent years have been to make the system simple. This principle states that the government should collect taxes from different sources rather than concentrating on a single source of tax. It is not advisable for the government to depend upon a single source of tax, it may result in inequity to the certain section of the society; uncertainty for the government to raise funds. If the tax revenue comes from diversified source, then any reduction in tax revenue on account of any one cause is bound to be small. The tax structure is a part of economic organisation of a society and therefore fit in its overall economic environment. No tax system that does not satisfy these basic condition can be termed a good one. The primary aim of the tax should be to raise revenue for public services. People should be asked to pay taxes according to their ability to pay and assessment of their taxable capacity should be made primarily on the basis of income and property. Tax should not be discriminatory in any aspect between individuals and also between various groups. Adam smith, although departed has laid a solid foundation to the modern economists,well done. The income which they enjoy under the protection of the state is the rental value of land. It is a misinterpretation to equate it with income and if you read through Wealth of Labour you will see that Smith was strongly against taxation of the wages of labour, which he regarded as absurd. The protection of the state refers to land rights which cannot exist without such protection. only the low income earners pay tax in Nigeria. this negates the principle of equity as envisage by Smith. And further widen the gap between the rich and poor in the society, invariebly distance the realisation of income redistribution which the tax system seeks to achieve. this article is very helpful to me as a student of business administration, precise and simple to understand thank you very much..